The city of Porto is full of wine, grand bridges, and cobbled streets that will whisk you away to a holiday you will never want to return home from. While it is a major urban area, you will feel as if you are in a quaint, little village. Because the city of Porto is known for its bridges, you will want to stop by and see the Dom Luis bridge, which is the city’s most iconic bridge crossing the Douro River. Another must-see before you return home from your holiday in Porto is the Palácio da Bolsa, which is a neoclassical building honoring the merchants of that past that helped make the city what it is today. 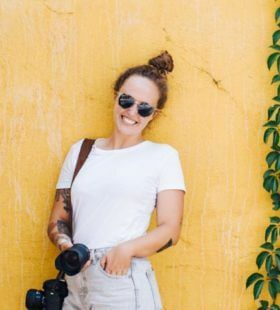 You’ll enjoy the opportunity to have photos taken in the beautiful city of Porto, so you should hire a local vacation photographer to capture quality photos of your holiday.